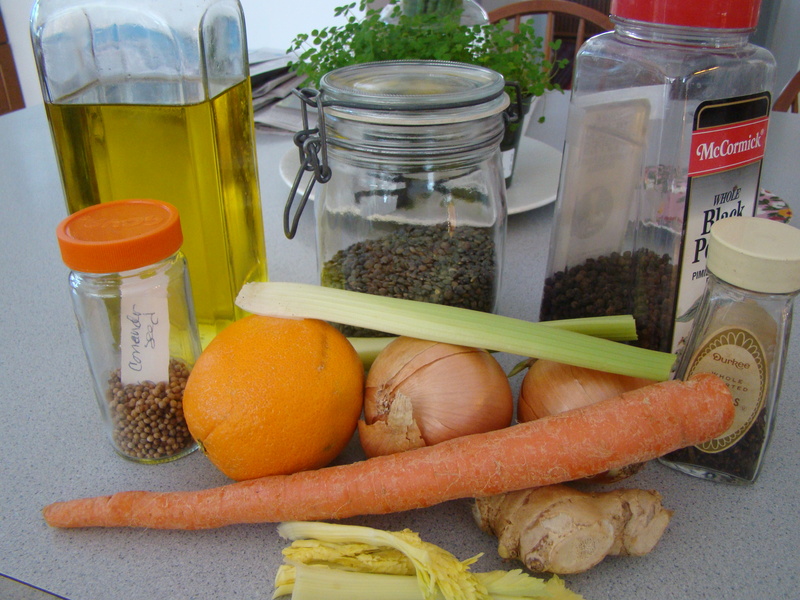 Posted on 15 March 2013, in French Fridays with Dorie, Soup and tagged French Fridays with Dorie, lentils, soup. Bookmark the permalink. 21 Comments. We like this, but definitely think I would have preferred a chunkier version. I haven’t made my way through the current copy of CI – I am going to have to look out for that recipe – I have a TON of sausage hanging out in the freezer that I need to work through. My favorite recipe with lentils is a stew with chorizo. Can´t beat that combination. This soup was good, but I had to add more coriander and orange to make it interesting. And I didn´t puree it. I like whole lentils! Have a great weekend Betsy! Betsy I really liked the flavor of this soup but I had exactly the same issues as you with the texture and the spices… Really annoying. 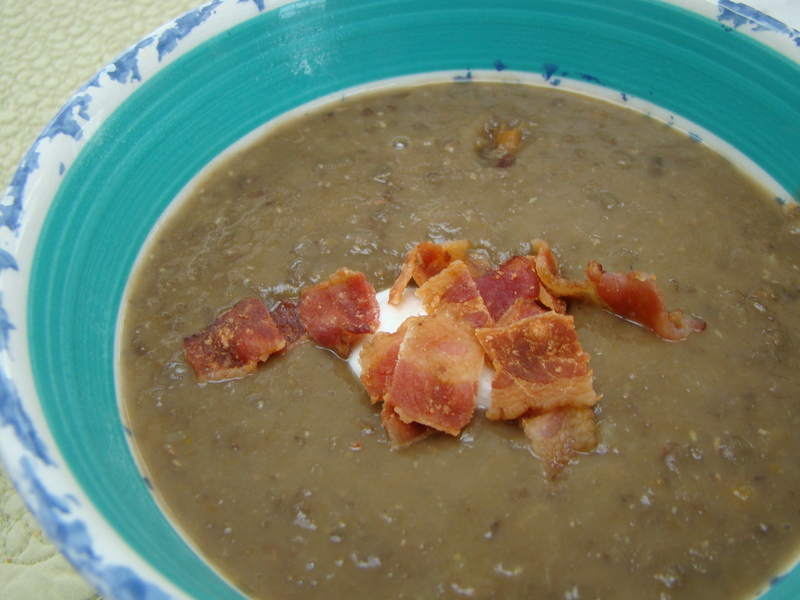 Betsy, so you are a lentil soup fan also – thank goodness, I am not alone, we seriously love lentil soup at our house. I chose not to purée the entire soup but left most of it chunky – personal preference. I am sure that you have tons of other wonderful lentil soup recipes on file, there are just so many recipes out there…although we did like this one, I am always looking for new recipe ideas for lentil soup. 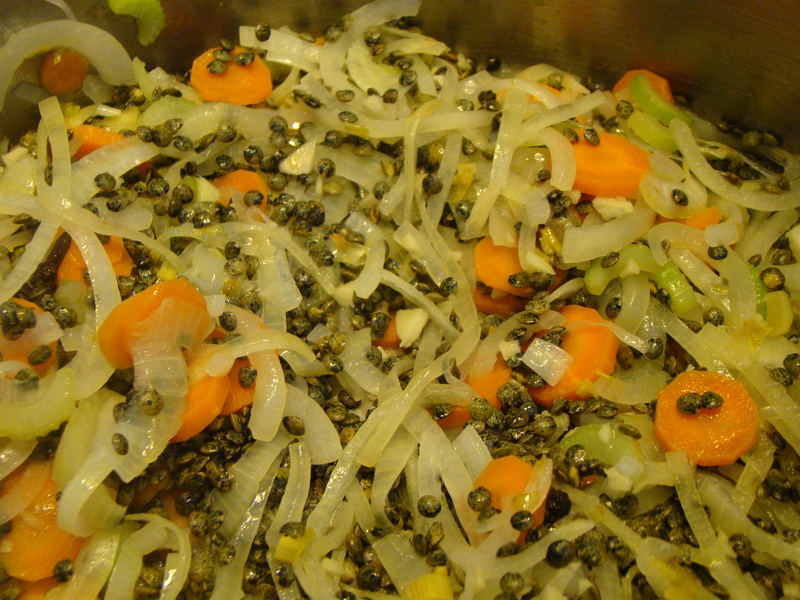 Betsy, as per your question, no lentil soup post on my blog yet so I will translate the recipe for my favorite German lentil soup tomorrow morning and mail it to you, hope you will like it. Thank you Andrea! There’s no rush, but I look forward to trying out your German lentil soup recipe. We didn’t love this one either, and I doubt I will be making it again. There are too many other good ones out there! Hmm, that’s the second mention I’ve heard of lentil soup with chorizo. I’m intrigued. Thanks for the info on the recipe for lentil soup in Cook’s Illustrated. I am always on the look out for Lentil Soup recipes. Chorizo and lentils sounds like something I want to try as soon as possible! I really enjoyed this soup, but it’s the first lentil soup I’ve ever had, so I’m keen to try other variations. And I hear you on the immersion blender not getting the ginger and spices properly. I used ground for this recipe because I never can seem to get chopped ginger blended properly. Have a good weekend! This was a hit in my house…although I wish I made an adjustment with the liquid…I like my soups thicker! Yours looks lovely…sorry it wasn’t a favorite! I just printed the Cooks Illustrated soup…my husband would love it with the Chorizo. Thanks for the tip! Have a great weekend, Betsy!! I think I might have liked this soup chunky as well. Unless it is strained, the hulls get in the way. Probably not a repeat in our house, but we did like it. Sorry this wasn’t a winner for you. Well, I will have to check out the lentil and chorizo soup recipe in CI, Betsy, because it just might be the only way I can entice John to eat lentils! Sorry this one wasn’t a hit for you. That looks great with the crumbled bacon on it! It’s nice to know I wasn’t the only one with this problem. I have the same issues with my immersion blender. I love the idea of it, but I always seem to end up wearing whatever it is I tried to puree. This experience did make me want to pull out my traditional lentil soup recipe, before it gets too warm.